ONE OF THE Upper Peninsula’s most seasoned journalists is about to take a break. WJMN’s news director and anchor Cynthia Thompson won’t call it “retirement,” at least not yet, but she’ll be leaving her job in the next two months to take some time off. 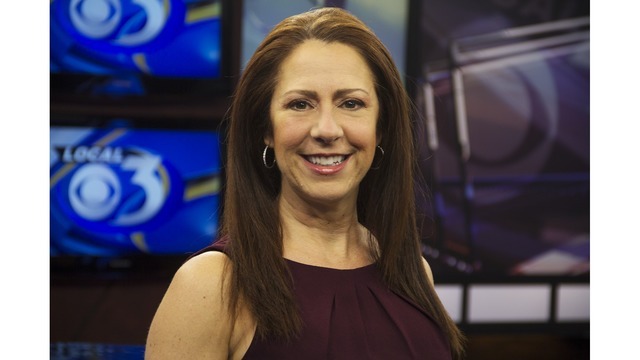 She’s been in broadcast journalism on and off since 1986, and she’s worked at all three broadcast stations in the UP–as a reporter and anchor at WLUC in the ’80s and ’90s, then as news director and anchor at WBUP, and over the last five years as news director and anchor at WJMN. 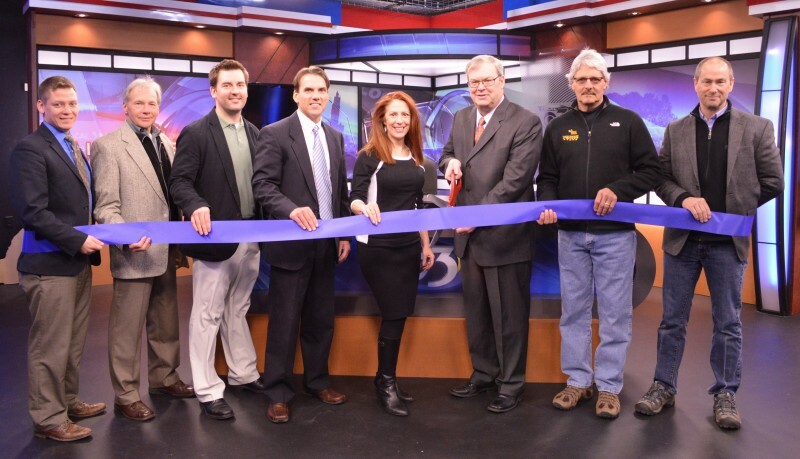 Thompson with the Lake Superior Community Partnership inaugurating WJMN’s first newscast. “I’ve had a blast,” she says. “I’ve met a lot of great people, but in the news business, whenever you’re awake, you’re working.” That is, you have to keep up on the news even on your days off, and you have to constantly be preparing for the next day’s or next week’s stories. It’s wearing. Makes you wanna sit back, breathe deeply, take a leisurely walk. Go to the beach. Thompson’s been talking to station GM Mike Smith about her exit plan for the last several months. She doesn’t have a hard-and-fast date for her departure but they both figure it will likely be in June. “We’ve got a search going for a news director and possibly an anchor,” Smith says. Big shoes to fill. Thompson’s the one who helped put WJMN’s first newscast on the air back in 2014, she’s the one who’s shepherded the station’s young journalists through challenging times over the last few years. She’s “retiring” for now, she says, but she doesn’t rule out some possible involvement with WJMN sometime in the future–after she reads her books, does some gardening, takes care of her projects around the house, and sits on the beach.